This shimmering pair of hoop earrings are a staple in any fashionable woman's jewellery box. 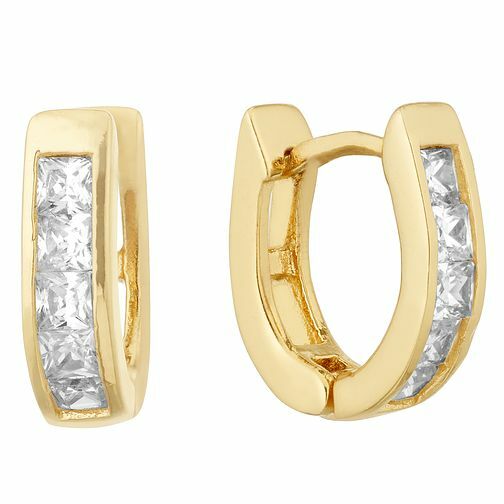 Made from scintillating yellow gold plated silver, these stylish hoops are adorned with princess cut Cubic Zirconia crystals, adding a sparkling twist on the classic hoop design. Attractive, elegant and perfect for complimenting day and night looks.